A study by scientists at Tufts University in the Boston area, published in 2016, challenged the usefulness of the glycemic index in showing how foods affect our blood glucose levels. But some of the leading researchers of the glycemic index have now refuted these claims. Nonetheless, the concerns raised by the Tufts scientists do help clarify what the glycemic index is and what you can expect from it. Their study shows that when you eat something, your blood glucose level can be an average of 20 percent higher or lower than the tested value of that food. The variation can be even greater—25 percent—among people as a whole. “Glycemic index values appear to be an unreliable indicator even under highly standardized conditions and are unlikely to be useful in guiding food choices,” Nirupa Matthan, Ph.D., the lead author of the study, said in a press release. She is a scientist in the Cardiovascular Nutrition Laboratory at the USDA Jean Mayer Human Nutrition Research Center on Aging at Tufts University. The American Journal of Clinical Nutrition published the Tufts study in September 2016. This study was a randomized, controlled trial of 63 healthy adults. In response to the Tufts study, the journal published a letter to the editor in its March 2017 issue. Even though the letter is not online, the corresponding author, Thomas M.S. Wolever, D.M., Ph.D., sent me the full text. He is a professor in the Department of Nutritional Sciences, University of Toronto, Canada, and in fact is a co-author of the first study of the glycemic index, published in 1981 by the American Journal of Clinical Nutrition. The key point of Dr. Wolever and colleagues’ rebuttal letter is that people have glycemic responses, while foods have glycemic index (GI) values. The letter emphasized that people are well known to vary substantially in carbohydrate metabolism, but GI values are reliable and can be reproduced with the use of standardized methodology. “The purpose of the GI is not to indicate what an individual’s glycemic response will be on any one eating occasion,” they write in the rebuttal letter. 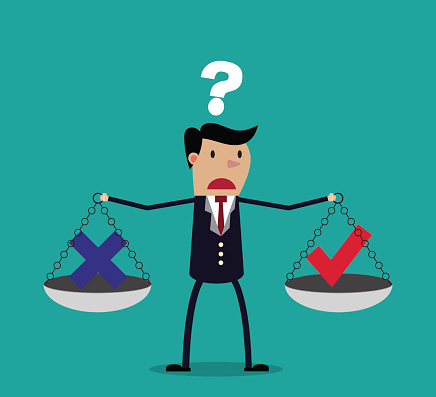 But it is “rather to indicate which carbohydrate-containing foods will produce, on average, relatively different responses. ”Six other researchers joined Dr. Wolever in writing the letter, including Jennie C. Brand-Miller, Ph.D., a professor of human nutrition at the University of Sydney in Australia. She has written more books for a lay audience and professional articles about the glycemic index than anyone. At the time, she told me that she wasn’t able to find an American publisher willing to take a chance on what was then an unknown concept. But I connected her with Matthew Lore, the editorial director of Marlowe & Company, and the publishing house then published many books about diabetes. 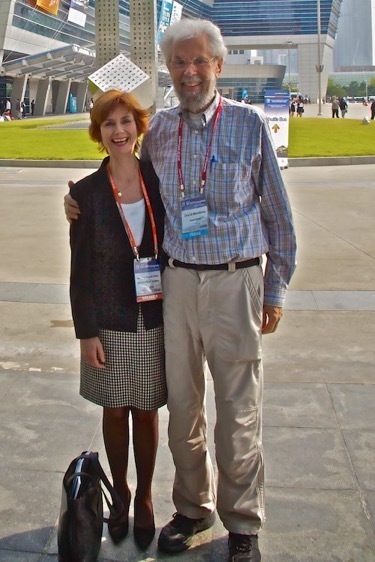 Professor Brand-Miller and me at the International Diabetes Federation Convention, Busan, Korea, 2010. Mr. Lore published an extensively revised and updated version of “The G.I. Factor” titled “The Glucose Revolution.” He then went on to publish several other of Professor Brand-Miller’s books, including “The New Glucose Revolution: What Makes My Blood Glucose Go Up...and Down? : 101 Frequently Asked Questions About Your Blood Glucose Levels,” which I co-authored. Together, these books have sold more than 2 million copies, a major reason why what was unheard of in 1996 is now well known and has helped many people, including me, to start reducing their carbohydrate intake. The letter from Dr. Wolever and his co-authors addressed the key point that the Tufts study made: That the substantial variability in individual responses to GI value determinations makes GI an unreliable approach to guiding food choices. “This conclusion is false and based on a common misunderstanding,” they write in their letter of rebuttal. But this controversy can help the rest of us to understand the glycemic index better. David Mendosa is a journalist who learned in 1994 that he has type 2 diabetes, which he now writes about exclusively. He has written thousands of diabetes articles, two books about it, created one of the first diabetes websites, and publishes the monthly newsletter, “Diabetes Update.” His very low-carbohydrate diet, current A1C level of 5.3, and BMI of 19.8 keep his diabetes in remission without any drugs. He can be found on Twitter @davidmendosa and on Facebook at David Mendosa.